Editor’s note: The following content has been updated for 2018. The explosion of the Internet, social media, and digital technology has led many to question whether print advertising can compete with these popular and progressive forms of communication. While many brands and businesses have rightly shifted their marketing efforts to digital platforms due to their potential for greater exposure and overall cost effectiveness, print advertising continues to be a valuable and viable part of a well-developed campaign. Why? Because millions of Americans continue to subscribe to print newspapers and magazines. Moreover, according to Nielsen data, 80% of US households still turn to circulars and other traditional, printed sources for product information. Creates Credibility – Print advertising is familiar to every audience and seems to possess a higher level of legitimacy and trustworthiness. Also, the rise of Web-based spam and scams makes many consumers wary of today’s ubiquitous digital ads. Boosts Branding – Print advertising is a powerful way to strengthen the identity of a brand. Presenting a permanent visual display of the brand’s logo, message, offerings, and tagline can leave an indelible mark in the minds of consumers. Exhibits Endurance – Internet ads are fleeting and change with the click of mouse, but print publications usually linger in homes and offices for weeks or months, allowing them to be viewed and shared among many. This also provides repeat exposure for those re-reading the publications, which has proven to be effective at enhancing brand recognition and overall identity. Tweaks Targeting – The specialized nature of print publications allows brands to target certain markets. 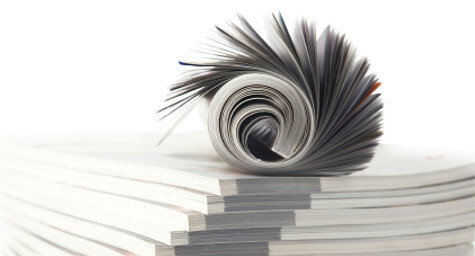 Marketers can hand pick the magazines and newspapers designed for niche audiences and place their print ads accordingly. Enhances Engagement – Despite all of the buzz regarding the high engagement levels on the Internet, research shows that audiences are actually often more engaged when reading print than Internet-based material. This is because people often only scan or skim through Web-based text before moving on to the next digital discovery. Draws Distinction – The shift to more digital advertising has had the unlikely benefit of reducing the clutter in print publications. This allows print ads, as well as the brands they promote, to stand out much more than in previously overcrowded periodicals. While digital platforms are certainly useful in reaching today’s increasingly online audience, it’s important to recognize the advantages of print advertising and include as many marketing channels as necessary to ensure full coverage from a campaign. To learn more about the benefits of creative print advertising, contact MDG Advertising today at 561-338-7797 or visit mdgadvertising.com. MDG Advertising, a full-service Florida advertising firm with offices in Boca Raton and New York, NY, specializes in developing targeted Internet marketing solutions, exceptional creative executions and solid branding and media buying strategies that give clients a competitive advantage. Our core capabilities include branding, logo design, creative, digital marketing, print advertising, direct mail marketing, media planning and buying, TV and radio, Web design and development, email marketing, social media marketing, and search engine optimization (SEO).